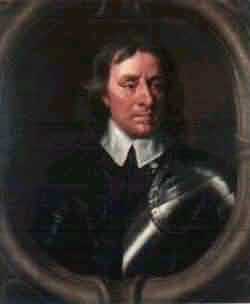 Oliver Cromwell was born on April 25th 1599. His family had become wealthy following the dissolution of the monasteries by Thomas Cromwell and had changed their name from Williams to Cromwell in recognition of the man that had made their fortune. He attended Cambridge University where he gained a reputation for his commitment to Puritanism. 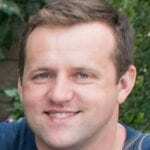 In 1620 he married Elizabeth Bourchier and the couple had two sons. In 1628 he became Member of Parliament for Huntingdon. In 1640 he was elected to the Long Parliament as Member for Cambridge, although he played no prominent part in the government. When the Civil war began in 1642, Cromwell was sent to organize the defense of Norfolk. He was noted for his organizational skills and bravery and when the East Anglian counties formed the Eastern Association, Cromwell was put in charge of the cavalry. His reputation was further enhanced when his cavalry made a notable contribution to the Battle of Marston Moor. When the New Model Army was formed, Cromwell was made General of the Horse and he played an important part in the defeat of the King in the Battle of Naseby. When the Civil War ended with Parliament victorious, Cromwell played a part in trying to keep Parliament united. He also tried to smooth things between Parliament and the army in 1647 when the army mutinied and refused to disband. He played a prominent part in the second Civil War. Here are the most important changes that Oliver Cromwell instituted. He was the prime mover behind the decision to execute the King in 1649 and the establishment of the Commonwealth. Having stabilized England, Cromwell left for Ireland to put down the Irish Civil War. 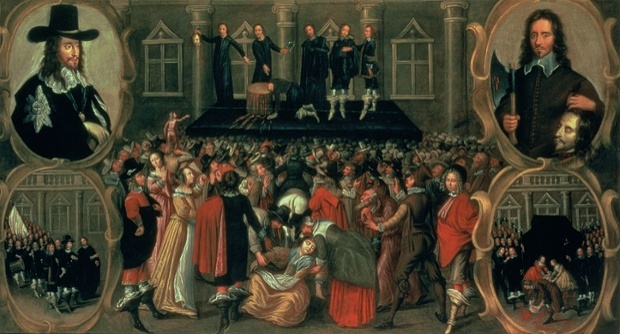 As an extreme Puritan, he hated the Catholics and had never forgiven them for their alleged massacre of Protestants in 1641. He therefore felt he was justified in seeking revenge and was responsible for the Massacre of Drogheda in September 1649. Cromwell was becoming increasingly frustrated with the members of the Rump Parliament who had not passed reforms in either the political or religious sphere. In 1653, at the head of an army, Cromwell marched into Parliament and dismissed the members. It was replaced by the Barebones Parliament, a select parliament of committed Puritans who elected Cromwell as Lord Protector.